The keys to this creamy and super-citrusy cheesecake? Well, there's cream cheese, of course—and lime sherbet! Combine graham crumbs, 2 Tbsp. sugar and butter; press onto bottom of 9-inch springform pan. Beat cream cheese and 1/2 cup sugar in large bowl with mixer until blended. Gradually add sherbet, mixing well after each addition. Pour over crust. Freeze 4 hours or until firm. Remove rim from pan. Garnish dessert with lime slices just before serving. Cut lime into thin slices. 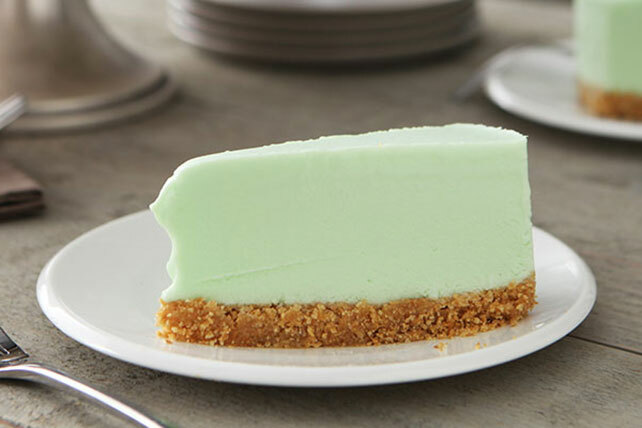 Make small slit on edge of each lime slice, then twist and place on top of cheesecake. Let frozen cheesecake stand at room temperature for a few minutes to soften slightly before cutting into wedges to serve.